Living a Fit and Full Life: Boost Your Skin's Radiance in Time for the Holidays with Le Mieux' Microderm Exfoliant! Boost Your Skin's Radiance in Time for the Holidays with Le Mieux' Microderm Exfoliant! 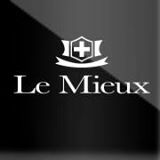 Le Mieux is a division of Bielle Cosmetics, Inc., specializing in INNOVATIVE SKINCARE PRODUCTS based on EXTENSIVE anti-aging and cell growth RESEARCH. Their high-tech youth preserving products keep tham at the forefront of a constantly evolving beauty care industry. The company offers a unique and comprehensive range of products combining the LATEST BREAKTHROUGHS in natural, herbal and botanical ingredients with innovative, state-of-the-art formulae. Le Mieux Cosmetics takes pride in excellent professional training and PROVIDES QUALITY PRODUCTS. Le Mieux' Microderm Exfoliant is phenomenal! When the seasons change my skin tends to do so also and usually not for the better. Usually at the beginning of each season my skin goes through a brief freak out and looks awful. As soon as October came around my skin began to look dull and dry so I began using Le Mieux' Microderm Exfoliant and after just one use my skin looked amazing. I'm rather pale so my skin looks pretty blah but after just one use my skin had an incredible glow and even the paleness was gone. My skin appeared to have a peachy glow to it and looked so great I even had a few people ask if I was pregnant because I was "glowing". As a mom of 4 I'm happy to say I'm not pregnant, it's simply the effects of Le Mieux' Microderm Exfoliant. Le Mieux' Microderm Exfoliant really is an incredible product and now that it's getting cooler out it's the perfect way to slough off dry skin to reveal your skins healthy glow!